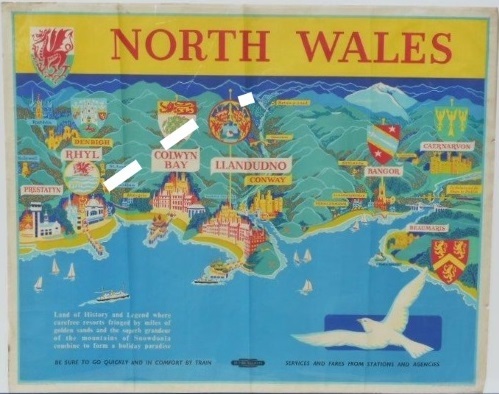 Lot 130 Q/R Poster 1957 BR (LMR) "North Wales". A map view of the coastal area, showing railways and holiday destinations, and a very large seagull. Good condition, with folds and edge nicks.